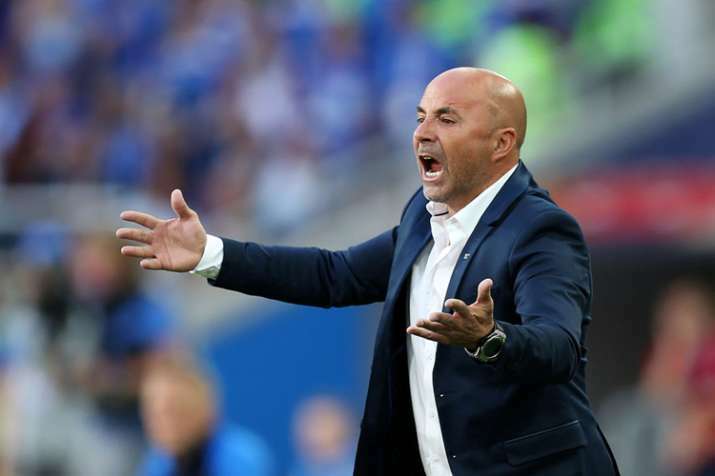 A file image of Argentina coach Jorge Sampaoli. Argentina coach Jorge Sampaoli is planning major changes to his team for the South Americans' next World Cup match. Javier Mascherano will remain as a defensive midfielder, while right-back Eduardo Salvio was being pushed up as a wingback.